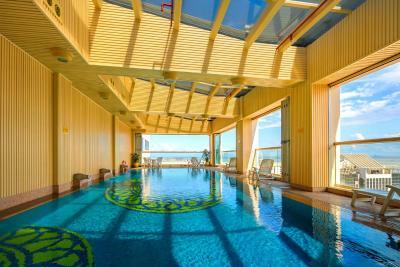 Lock in a great price for Rio Hotel – rated 8.4 by recent guests! Everything except for breakfast. 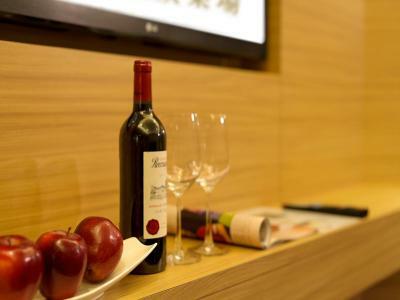 Comfortable room and hotel amenities. 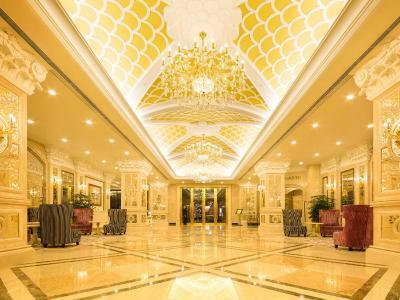 Nearby outer Harbour Macau, large, comfortable, well equipped hotel! famous souvenir shop is just around the corner! Location is ok. Convenience store is nearby, restaurants nearby. Helpful staff. Large bathroom. Room is cleaned daily. I booked the biggest suite in the hotel and enjoyed my stay and it was worth paying a little extra to get a lot more. I wanted to be near Old Town so great location. I normally stay at the Mandarin but it was fully booked and I enjoyed my 2 nights at the Rio. I asked for an early check in and it worked out great. Breakfast was OK and I even got in a few side trips to some local attractions. Super friendly and accommodating staffs! The staffs are very helpful with our concerns. 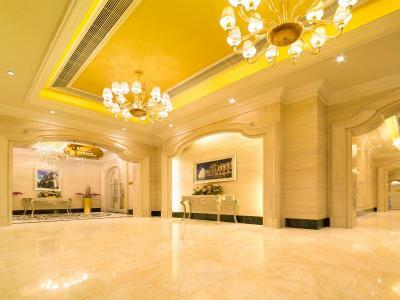 Ambiance upon entering the hotel is very good! The rooms are big! Super love it. We have a good night staying here. Hotel staff are very accommodating and informative especially the Filipino who assisted us. He is very knowledgeable. Plus, hotel provide a phone device that you can use outside the hotel for local call and text and most of all for internet connection. Easy check in. They even upgraded my room. Lot of good small restaurants in the the area and you could walk to Senado Square or the Grand Lisboa. The bed has a good size, but it is not that comfortable. “Ms. 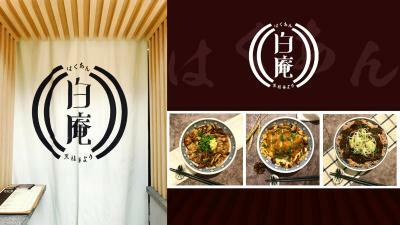 Brandy 郭鵬翼 小姐” is the very kind and polite reception staff , she served me very kind and really helpful as well. What a coincidence the timing is like she served me when I checked in and also checked out. Arrival date : 28 December 2018 Room No : 2106 Will stay Rio hotel again for the next trip for sure . The room was spacious and the bathroom was clean with a lovely bath. The shower was great as it was more like a power shower than a normal shower. Facilities in the room were good like tea, coffee, toothbrush, comb ect. Swimming pool was a good size and for supplied swimming towels when you went up and also a locker for your belongings. Rio Hotel This rating is a reflection of how the property compares to the industry standard when it comes to price, facilities and services available. It's based on a self-evaluation by the property. Use this rating to help choose your stay! One of our best sellers in Macau! 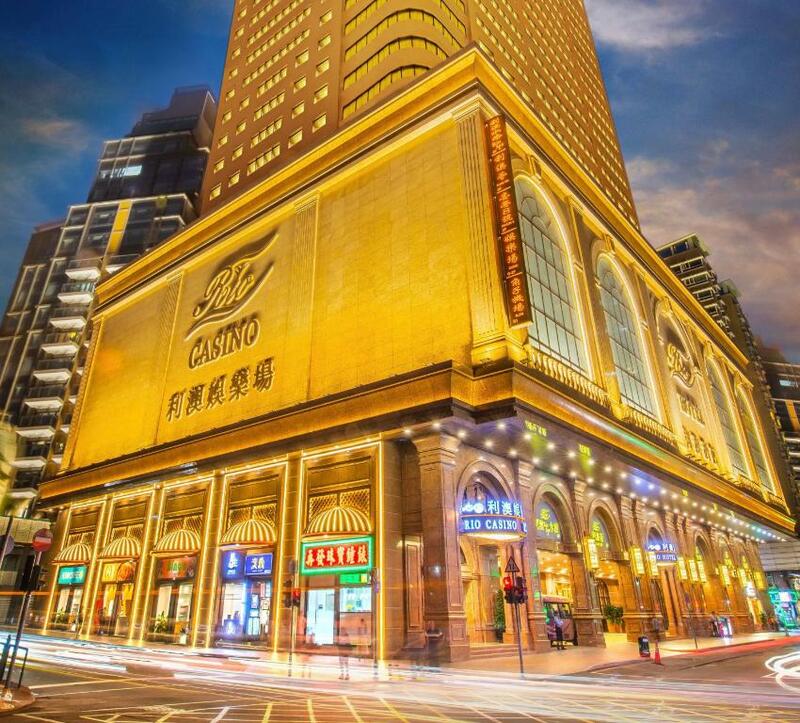 Offering an indoor heated pool and a spa and wellness center, Rio Hotel is located in Macau, a 10-minute walk from Hong Kong-Macau Ferry Terminal. Besides free WiFi access, each room also offers a multi-function smartphone for free use. 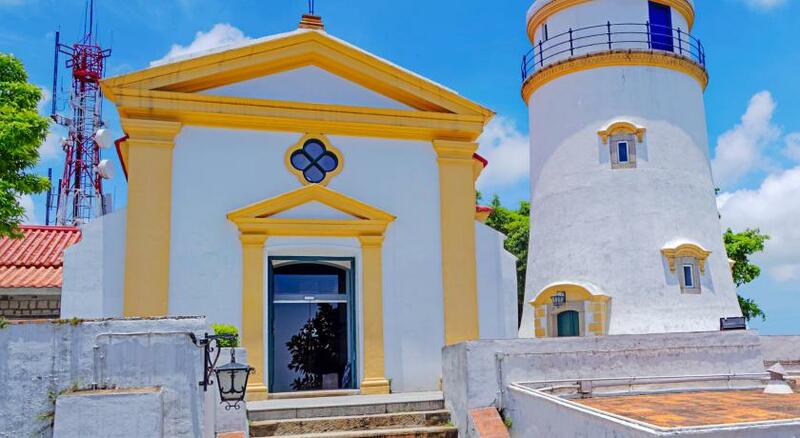 Hotel Rio is 2,300 feet from Lotus Statue, 2,950 feet from Mount Fortress and 0.6 mi from Senado Square. Macau Airport is a 15-minute drive away. Each room here will provide you with a TV, air conditioning and city views. There is also a refrigerator. Featuring a bathtub and shower, private bathroom also comes with a hairdryer and free toiletries. Extras include a mini-bar. At Rio Hotel you will find a casino and a fitness center. Other facilities offered at the property include meeting facilities and ticketing service. 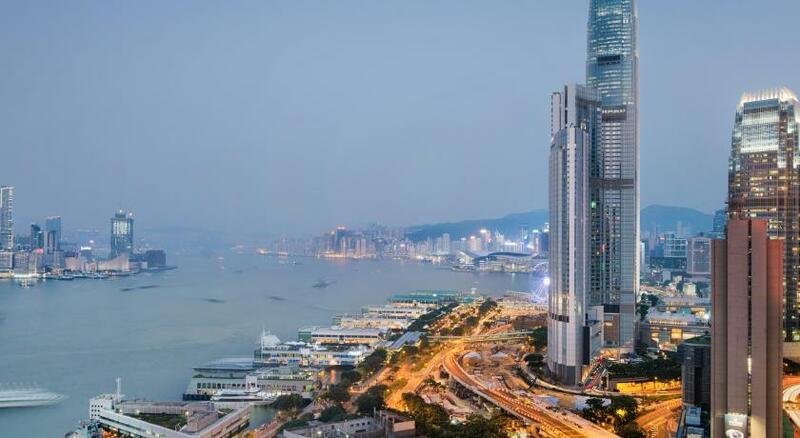 Free shuttle bus is available between the property and Hong Kong-Macau Ferry Terminal. The property offers a Chinese restaurant and a Western restaurant. When would you like to stay at Rio Hotel? This twin/double room offers city views, a mini-bar and air conditioning. Private bathroom comes with a bathtub and a separate shower. Private parking is available on site (reservation is not needed) and costs HKD 360 per day. This twin/double room features a mini-bar and air conditioning. Private bathroom comes with a bathtub and a separate shower. Offering a queen-sized bed and a single bed, this twin/double room features a mini-bar and air conditioning. Private bathroom comes with a bathtub and a separate shower. This suite has a separate living room and features ample space. Private bathroom comes with a bathtub and a separate shower. Stay a consecutive 2 nights or up to enjoy free upgrade to Rio Suite. This suite features a separate living room, ample space, a mini-bar, air conditioning and a flat-screen TV. Situated in the heart of Macau, Rio Hotel & Casino is just 10-minutes away from the Hong Kong-Macau Ferry Terminal and 15 minute from Macau International Airport by car. 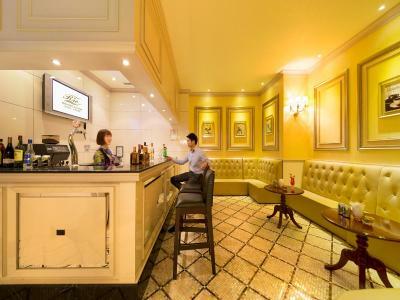 Rio Hotel and Casino provides guests with the most convenient connections to major tourist sightseeing spots, business zones as well as recreational districts. All hotel rooms are equipped with hi-tech facilities such as broadband Internet access for speedy communications and LED television. House Rules Rio Hotel takes special requests – add in the next step! Rio Hotel accepts these cards and reserves the right to temporarily hold an amount prior to arrival. Please be informed that a room deposit of HKD 1000 is required for incidental charges. All Perfect. We come back again. Breakfast organisation poor: it took the staff too long to clear the tables properly. Breakfast spread is limited. Although the restaurant ambience is classy. Bathroom is not clean in the shower area and the toilet doesn’t flush unless you pushed for 15 seconds. Staffs at the front desk were friendly. The bed. The food. No bar or coffee shop. No good for business. The rooms was clean although the bed was like a rock. Breakfast was god-awful. The hotel is more well known for the “sauna” which is basically a knocking-shop. I was unaware of this when I booked it, but soon became aware after the third taxi driver asked me “Rio massage?” . Clearly not known for the hotel or Casino. The rooom is clean and hotel staffs are helpful. During our first night, we woke up at around 7AM because our room smelled like sauteed onions and garlic. We need to turn off the A/C. We stayed at the 14th floor. Bed is too soft. In general its ok for the price. You can add few bucks to get a more comfortable hotel i believe. 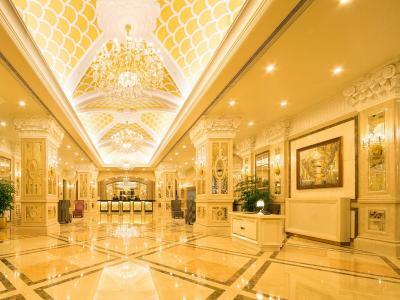 One of the Best Hotel in Macau wanna comeback again. Thank you Rio Hotel for the best accomodations and hotel experience. Have clean rooms, comfy beds, great food service, they have own shuttle bus. All staff have deliver great customer service for us, tourist friendly, specially their reception staff and Sir Dennis of their hotel bellboy he really do his job so well. Excellent hotel! Shuttle bus should be more frequent and more destination. Guest toilet at the lobby have to use the key not freely open as other hotel that is not convenient.